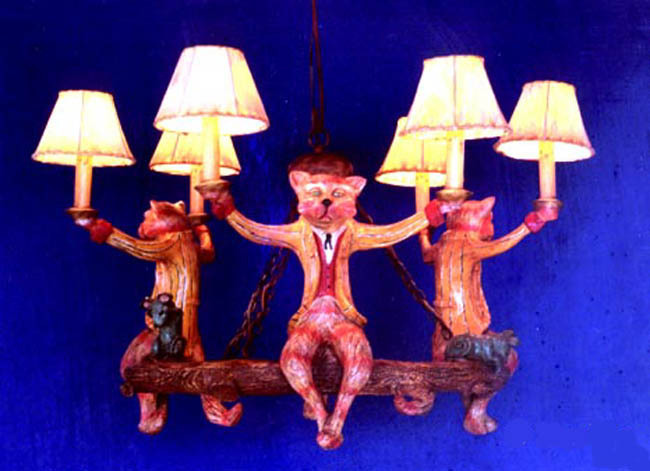 Description: Cat Chandelier, with three mice (optional). Can choose colors. Takes 60 watt bulbs and has drip candle covers. Resin &steel. Shades extra.